Many global financial institutions are realising that customer experience is a key strategic priority and are pushing this up the corporate agenda. Amidst the rise of FinTech players and shifting customer expectations, banks are being challenged to rethink and improve their customer experience activities. But are resources and effort being focused on the right areas to optimise ROI and win in an ever-changing environment? Sadly in many cases the answer is still “no”. And this is despite the link between customer experience, customer acquisition, retention and the bottom line. According to a recent study by KAE, the strategic marketing and trend consultancy, almost a third of US banking customers’ decisions to change their bank was based on perceptions of customer experience. A further fifth can be attributed to their use of contact channels, with the rest of their decision-making process influenced by demographics (older customers are simply just less likely to churn) as well as their product experience and product holdings. Using its ‘KX’ model, a machine learning customer experience model, KAE analysed 200 pain-points reported by over 1,000 US banking customers. Through this analysis, KAE found that there is room for a 5.2% uplift in customer satisfaction if these pain-points are addressed; most of this uplift can be achieved by addressing the top ten pain-points. And what could this mean for the bottom line? Based on this analysis, and a review of churn statistics among US banks, margin could increase by as much as 6% through either reductions in churn or an increased propensity to take out more products or services. However, banks should beware. There is a strong cross wind that is blowing banks (and other providers across industries) off course from realising these uplifts, and it is gaining momentum by the day. This wind comes in the form of FinTechs. FinTechs remain a double-edged sword; being both a threat and an opportunity. One significant impact that FinTechs have had is in reshaping customer expectations, setting newer and higher bars. 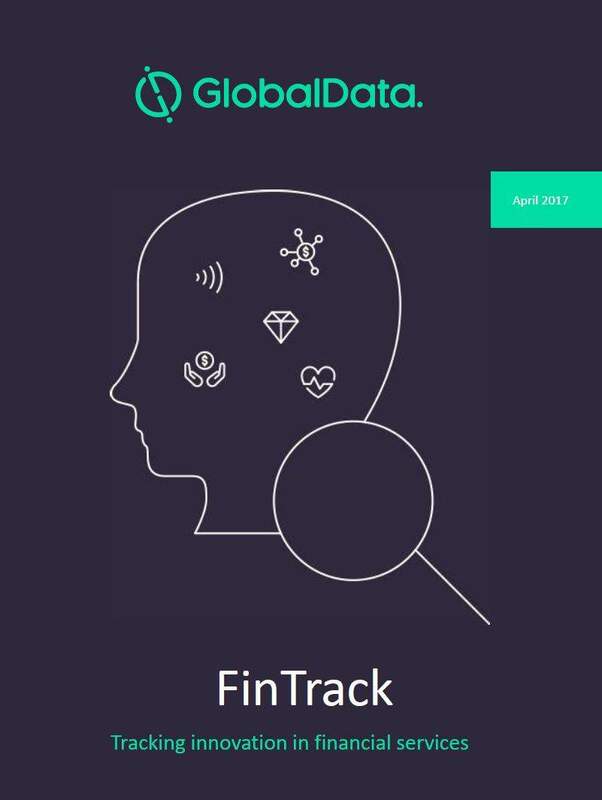 FinTechs are not constrained by the same legacy and compliance issues as more established providers are and they have embraced and built upon the customer experience benchmarks set by the large technology firms that customers experience in their day-to-day lives – think Microsoft, Apple, Google, etc. Fuelled by the rise in connected devices, customers will come to expect their chosen providers to provide a better and frictionless experience, anytime and anywhere. To achieve this, many banks’ legacy systems and processes will be stretched to say the least. “As technology paves the way for new processes and revenue models, businesses have struggled to maintain tight customer relationships, and in some cases, to deliver valuable and meaningful experiences. 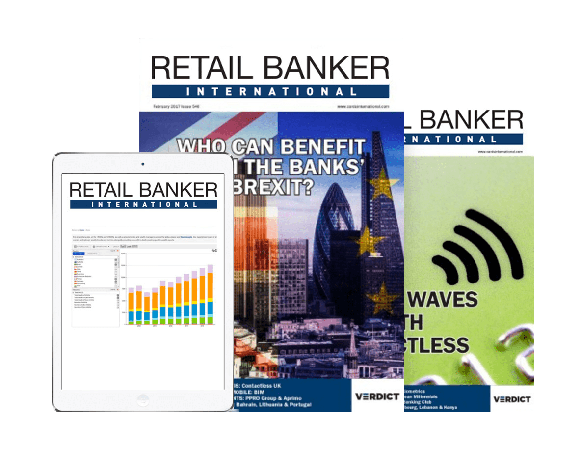 Banks, as is the case for corporates in general, will need to change their propositions to convince customers why they are the best provider – customer experience will increasingly spearhead this as cost and product become less powerful differentiators,” says Richard Lintern, Managing Director at KAE. “We are entering an era of ‘intelligent’ FS, be it intelligent banking, lending, payments and treasury management, where technology, data and machine learning are being utilised to help respond to changing situations in real-time. Through the deployment of more powerful technology and connected devices, customer experience is becoming more frictionless and issues are being resolved faster. With the FinTech movement continuing to produce a growing and evolving set of providers where the experience is more in vogue with customers’ elevated expectations, many will leave behind their previous loyalty to banks and become more promiscuous. Making sure the customer experience meets, and ultimately exceeds, customers’ ever-demanding expectations, yet is also nimble enough to evolve, are key challenges facing banks today,” adds Chris Holmes, Senior Vice President at KAE. Banks are at different stages in the process towards customer success and aligning operational efforts. Due to the size and complexity of banks as organisations and the suite of products and journeys available, refining and improving Customer Experience Management (CEM) can often appear daunting – but this does not need to be the case. It is also imperative not to treat CEM or design as a one-time or isolated process. To be effective, it must be continuous and embedded across the organisation. 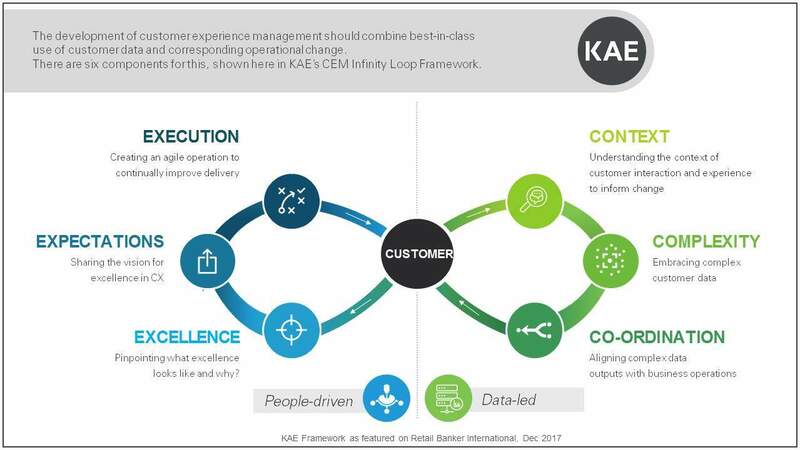 KAE has developed the CEM Infinity Loop Framework that details the six core components critical to CEM success. 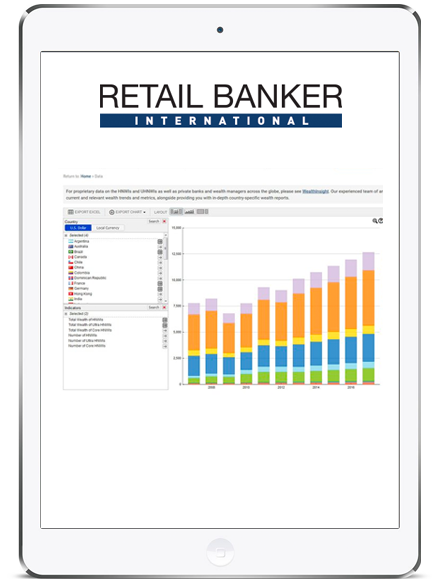 Customers increasingly expect banks to educate, inform and communicate with them in a personalised and contextual way. But to effectively do this, banks need to understand customers’ current and latent needs, the impact of life events and the stage of the decision making process customers are in. Understanding the context of customer interaction and experience will help banks to inform change in their customer experience strategy. For example, “Customers buy homes, not mortgages” is a well-known expression, but serves as a useful reminder that context should be at the forefront of a bank’s journey to understand customers. Understanding attitudinal and behavioural differences is also imperative. For millennials in particular, demystifying aspects of financial services is a way in which banks can re-engage with and create an informed decision-making process for customers. According to KAE, customer experience across US banks could be improved by up to 7.4% amongst millennials. 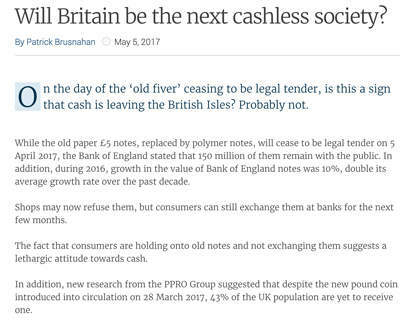 To achieve this, banks do not need to boil the ocean. Deeper analysis by KAE shows that resolving just the top nine pain-points for millennials account for more than a third of this possible improvement. Harnessing complex behavioural and transactional data can provide banks with clear and prioritised pathways to improvement. A wealth of transactional data may have been held across product-centric departments operating in silos up until this point, but there is an opportunity to deliver a step change in CEM through a data-led approach. Existing customer experience KPIs (NPS, CSAT, etc.) can be supplemented with wider data applications such as machine learning, AI and predictive analytics, to help improve customer interactions and personalise relationships. Predictive analytics and machine learning applied to customers’ transactional data (internal) with external or third party data (scores, social media, etc.) can drive efficiencies across a number of other processes, including customer segmentation, churn, credit risk and risk management, as well as new product development. This is not new news for FinTechs, but for many incumbent banks the cross-fertilisation of relevant internal and external data remains an operational challenge and a black hole. Bad debt prevention can also be linked to predictive analytics and leveraging customer data to help foresee potential delinquency. 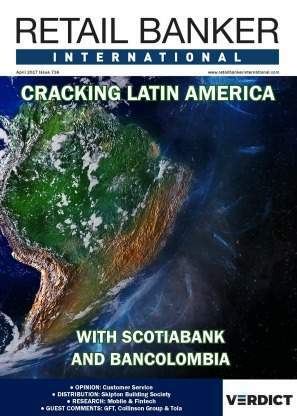 Banks that map out transactional data and the routes (including going overdrawn, ATM withdrawals, interest charges etc.) could produce a scorecard to follow. Financial institutions could then take remedial action and communicate with customers before delinquency, to reduce bad debt and deliver better experiences. “NPS, CSAT and other widely used means of interpreting customer satisfaction remain as valid as when they were first implemented. What businesses are missing is a detailed understanding of what is actually driving satisfaction scores and what needs to be prioritised – and as our KX model has shown, it is not always pulling the obvious levers that will have the biggest impact,” explains Tom Mowat, Senior Vice President at KAE. Transactional and historical customer data, combined with analytical techniques driven by emerging technology applications, can drive change in customer satisfaction. However, disparate experiences across customer journeys still occur within a single bank across different product mixes. KAE observed that these differences still exist and manifest in customer experiences within banks. For instance, applying for a loan from Bank of America received a 96.4% customer satisfaction score, whereas applying for a checking account received a 75.7% score. Bridging gaps between product-driven experiences can be facilitated by data analysis as well as AI and machine learning techniques. Driving sustainable change is better served through a co-ordinated approach that encompasses data analysis and insight generation, rather than a bolt-on approach to legacy methods. The key to avoiding paralysis by analysis of large data sets is by being smart in what data is used and how it is used, and making big data smart data! Do not be afraid to de-prioritise some data and the value that the data and its outcomes hold for the business should be continuously reviewed. This needn’t be a painstaking exercise. Pinpointing what excellence and best-in-class looks like helps to translate goals into transformational and strategic change across financial institutions. By placing this at the heart of CEM, it will provide more impetus than leveraging existing assets and infrastructure alone to drive change. Start by looking at the new kids on the block – the FinTechs – as they will be looking to move the goal posts in regards to what will be seen as best-in-class going forward. Amongst the US incumbent banks, KAE found that JPMorgan Chase came out in top spot for their customer satisfaction overall (85.3%). Within this score, the baby boomer segment is particularly satisfied (88.9%), but there is still room for improvement amongst millennials, who had a score of 80.9%. When looking specifically at millennials, Citibank is performing well (receiving a satisfaction score of 86.2% from the segment). Why is this? The acceleration of Citi’s strategic efforts, in particular with a mobile-first approach, could certainly have something to do with it. According to a separate study conducted by KAE that focused on digital banking, less than half of US customers thought their bank offered a good online experience; signalling room for improvement. And it appears Citi acknowledged this as it made incremental improvements to its digital offering over the past year based on direct feedback and co-creation with its customers. There has to be a vision. It has to be shared. This may sound basic but there are too many businesses that fail to recognise this, and if they do recognise it, fail to do it. The need for a wider cultural change to help steer successful CEM should also not be ignored. Encouragingly an increasing number of Chief Customer Officers (CCOs) are being appointed to management boards in the Financial Services sector and CEM is being given more profile across all organisational levels. To enhance and optimise CEM, change needs to happen across increasingly multi-faceted organisational structures. A shared vision of what excellence looks like and cultural change initiatives should be a priority. 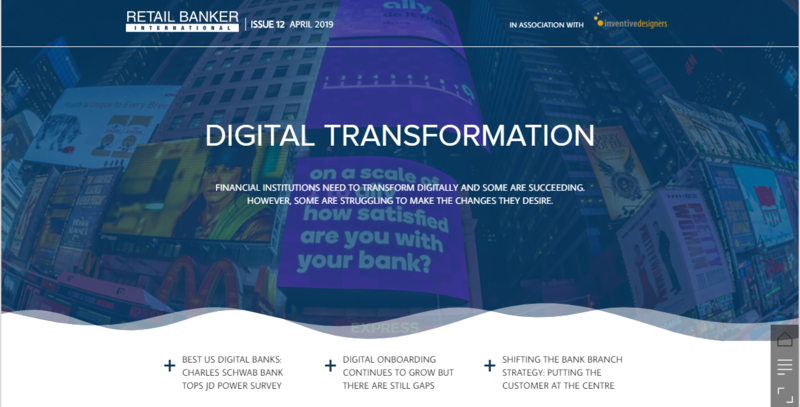 In response to the threat of FinTechs, a wider challenge for banks lies with building an agile operation and breaking down silos in the process (including with any data held within product-centric departments) to delivering a step change. Customer experience transformation is not without its challenges, but there are examples of financial institutions that are approaching customer experience from an agile development perspective to create opportunities; JPMorgan Chase and Citibank to name a few. Execution and implementation should be approached with rigour. There is no doubt that emerging technology and applications of AI and machine learning have a role to play in facilitating customer facing processes, but the people involved have an equally big part to play in translating plans into a CEM strategy with longevity. Centres of excellence are one way in which a vision can be shared across a multi-faceted organisation and can help to enable continuous refinement and improvement through a shared commitment to driving excellence. Re-training staff also helps to improve the quality of interaction with more complex enquiries and frontline staff that deliver on brand promises should also be of increasing focus; KAE identified room for almost a 1% uplift in overall satisfaction by solving people-facing related pain points alone. Customer expectations are constantly evolving and merging with other interactions in their lives. Beyond transactional data, an understanding of how to continually make incremental but impactful changes will help to futureproof banks’ CEM. Delivering great customer experience must start with understanding customer needs (both current and latent), and requires continuous engagement with the people and data systems that support your customers. The aspects that should be focused on amidst the rising pressure from FinTechs and alike are far-reaching and numerous but given the impact of customer loyalty and switching behaviour on the bottom line, CEM should become an integral part of banks’ value propositions. If not, banks run the risk of losing appeal across their customer base, and in some cases, maybe even losing their relevance. 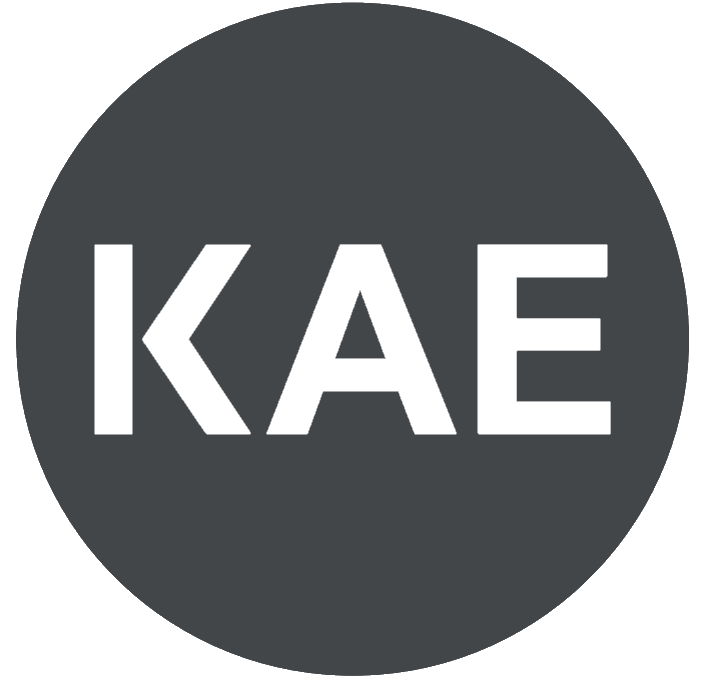 KAE is a strategic marketing and trend consultancy with expertise across Payments, Banking, Lending, Healthcare, Technology and Telecoms. We work with some of the largest financial services institutions across the world and in the last decade, we have supported our clients in over 60 countries, across 6 continents. We provide evidence-led recommendations across three core areas of specialism: Insight, Strategy and Analytics. And we have been doing so for almost 50 years. We are passionate about inspiring change and challenging traditional practices in light of changing macro- and micro- environments, the development of new processes, emerging technologies as well as changing customer expectations and needs. We have a team of consultants dedicated to our Customer Experience (CX) practice who regularly blog about some of the hottest trends in CX (see here) and are experts in advanced customer experience research techniques and advising on CX strategy.